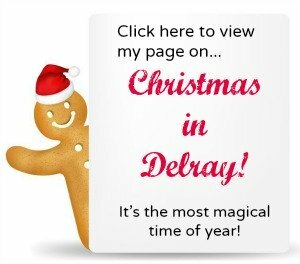 I've compiled my favorite Delray Beach links and online digital publications and magazines for you to easily access right here on this page. For your convenience, you'll find links to our Chamber of Commerce, Parks & Rec, and to the City of Delray Beach website. You'll also find some links to electronic publications, online magazines, the local Delray Newspaper and Palm Beach County newspapers. 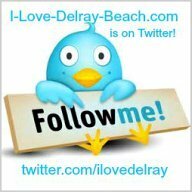 Whether you're a tourist or a resident, I think you'll be able to find oodles of Delray Beach information on this page. Please browse around and click on the links. Many of them can be immediately accessed and viewed online, right now. Greater Delray Beach Chamber of Commerce: Business development, chamber events, and tourist information. Visit them in person, and pick-up local guides, magazines and brochures for tourists. City of Delray Beach: Economic development, commission agendas, budget reports, and more. Subscribe to their email list. Parks and Recreation Information for Visitors: General information on Beach and Oceanfront Parks, Community Parks, Dog Parks, Golf Courses, Intracoastal Parks, Marina, Nature Areas, Recreation Centers, Swimming Pools, Tennis and more. Delray Beach Vibrations Newsletter! An eNewsletter all about Delray Beach. This is delivered directly to your email for free! You can unsubscribe at any time. Sign up by clicking on the link above, clicking on the image to the right, or by simply filling out the form below. 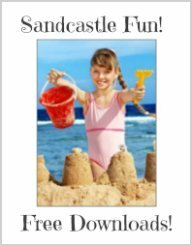 How to make your own Sandcastle Building Tool Kit for cheap! 2017 Delray Downtown Guide: A 30-page colorful online downtown guide of businesses, restaurants and things to do. 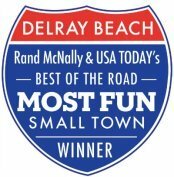 2015 Guide to Downtown Delray Beach: In this electronic 58-page guide to downtown Delray Beach you will find information on Parks & Recreation, Special Events, Accommodations, Dining, Shopping, Cultural Arts, and on pages 56 & 57, you'll find a map for Parking and Getting Around in Delray Beach. 2009 Delray Beach: Downtown Guide: A beautiful digital publication of 132-pages all about Delray Beach and Palm Beach County. Very informative guide with geographical statistics, demographics and more. Atlantic Avenue Magazine: This is a beautiful magazine all about Delray Beach! Enjoy stories of our famous Atlantic Avenue and explore the shopping and dining galore. You can find this publication around town for free. Hard copy subscriptions are available and this magazine can be viewed online too. Just click the link above. 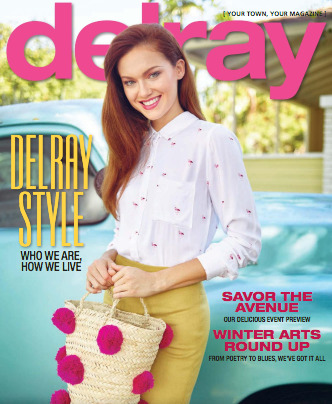 Delray Beach Magazine: This magazine is all about Delray Beach, similar to Atlantic Ave magazine but this one is only published every 2 months. You can find this publication around town for free. Hard copy subscriptions are available and some excerpts can be viewed online. Boca Magazine: The only Boca Raton, Florida magazine. This magazine has won many awards! This magazine can be found at bookstores and at Publix markets. Hard copy subscriptions are available. 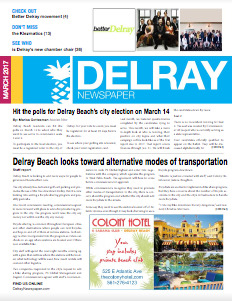 The Delray Newspaper: This is a small newspaper publication all about Delray Beach, Florida. Printed in a hard copy format with a small, cozy-friendly feel of about 50-some pages. 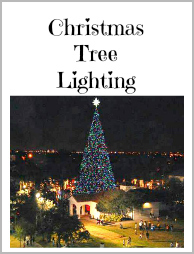 You can find this publication free in many locations around town and it can also be viewed online. The Coastal Star: This is a publication on the small beach towns located between South Palm Beach and south to Highland Beach. It is a hard-copy newspaper that you can find around town for free and it is also an online blog-type forum with 1500 members. You can subscribe via email for free. The Sun Sentinel and Palm Beach Post are the main newspapers for Palm Beach County, FL. You can view them online for free with limited access or subscribe for a fee and get unlimited access. Sun-Sentinel Newspaper: The South Florida Sun Sentinel is Broward, Palm Beach and Miami and Dade County's source for breaking news, sports, weather, traffic and more. Palm Beach Post Newspaper: The Palm Beach Post newspaper is your top source for Palm Beach County and Treasure Coast breaking news, plus sports, weather, traffic and more.